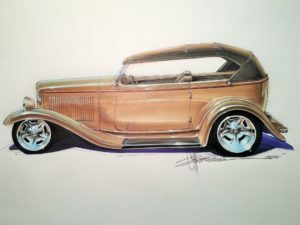 The Phanton Body was designed by Chip Foose and each body will be hand crafted by Brookville Roadster to Chip’s exact specification. The Phanton style is limited to 32 Builds. Each build includes a Certificate of Authenticity. 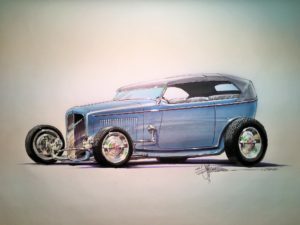 Order yours today to own an exclusive piece of Street Rod History. Please Note: Actual Body may differ from Concept Shown.